Passages to the Past: Guest Post by L.B. Joramo, author of The Immortal American + $10 Amazon Gift Card Giveaway! Guest Post by L.B. 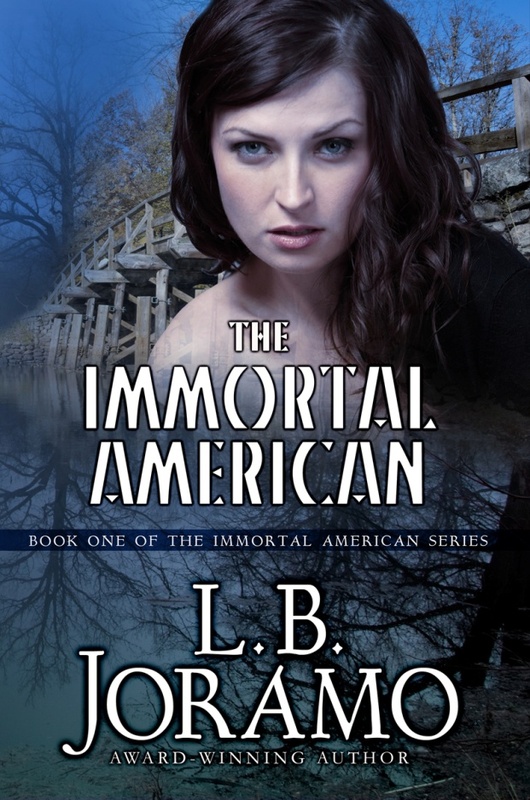 Joramo, author of The Immortal American + $10 Amazon Gift Card Giveaway! Today we welcome author L.B. Joramo to Passages to the Past! L.B. 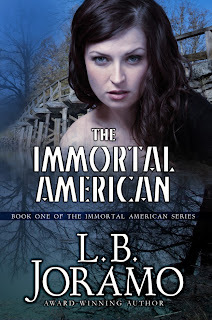 is currently on tour with Historical Fiction Virtual Book Tours for her novel, The Immortal American (Book One of the Immortal American Series), and today she is here to talk about her novel and to give away a $10 Amazon Gift Card (see giveaway info below)! When I began writing the first book in the Immortal American series, years ago now, I wouldn’t have called myself a history buff. I liked history, don’t get me wrong, but I never purposely sought out historical books or any past time to try to know every little thing about it. Most of the history classes I took were in high school and college and were electives that I had to take, but seemed interesting. My favorite class was the history of war. It wasn’t so much about war, but how war influenced the world, beginning with the brilliant tactician Alexander the Great and moving forward to WWII. And I had a fondness for historical literature. My first and perhaps my constant love has been Bill, or whom other people might call William Shakespeare. Simply, I love him. Let me count the ways. Still, I never sought out history. I believe it pursued me. It was Violet, my protagonist, who helped me find that I not only was interested in history, but I loved it. And I mean I will spend weeks in it, trying to investigate even the kinds of bricks used in a building kind of love. When I began writing the series, I first met Violet, who informed me about the basic details of her life. But I didn’t know very much about the American Revolution. So I began my research, hence I could find her thread through it all. I never thought I’d become one of those people who could recite details of battles, but not long into my research I found myself doing just that. My enthusiasm gushed, and, unfortunately, I found myself relaying all those bloody details to the first people who happened upon me, a very sweet Jehovah’s Witness couple. Needless to say they haven’t been back. I know they came to spread The Good Word, but I couldn’t help myself but spread my own. I found my drug: history! I wrote Violet’s first book in a matter of a few months. Even with all the research, I found myself writing faster than I ever had. And why was because Violet kept telling me about her VERY long existence. In the year that Violet first appeared to me, I did as much research as I could and wrote about her life from 1775 until 1918. It was a blur of a year. After that, I received news from an editor that she loved the first of Violet’s books—it had multiple titles, but now is called The Immortal American, thanks to the help of editor, D. Patrick Miller—but that her house didn’t publish novels set in the American Revolution. It wasn’t the first time I would hear such news. With all the tidings coming in from editors about how they loved it, loved my voice, but could I please write in a different age, perhaps the Regency, one would think I’d listen to the advice. And oddly enough, I’m not usually the kind of person who would go against so many people wishing me well and hoping to further my career. But I couldn’t help it. Violet’s story, I thought, just needed to be told. So stubbornly I put my literary foot down, and since I knew the outline and basic research of Violet’s life, I decided to just write about Violet’s life during the American Revolution. More research commenced. And more! In a way, now I’m grateful that The Immortal American didn’t publish immediately. The series would not be what they are now—extraordinarily well researched. And as much as I loved researching, it was during the times when I didn’t think any editor would want what I was writing, that my love for history solidified. I started a blog as another outlet for my drug of choice. My blog is styled like the French salons of the eighteenth century, where I hope people will stop by and discuss the various topics, like what role did women really play during the eighteenth and nineteenth century to the fiscal history of the American Revolution and so much more. I have already had many historians write pieces for me, as well as a history buff that happens to be a literal rocket scientist. You can find my blog at http://blog.lbjoramo.com. Now I can’t go a day without a little history lesson. Currently I’m reading about Lewis and Clark’s journals, and I’m sure many fellow Montanans are thinking it’s about time I did. I live in an area where the explorers traveled through, but I have never taken the time to learn what they said about this lovely area. What I’m realizing today is that I want to research all of it, every era. Yet I have an ironic problem with my quest: In chasing past times, I’m finding I don’t have enough of it now. Thank you for having me on your blog, Amy! I’m truly honored! You can find The Immortal American on Amazon, where it is currently on sale this week June 24 – July 1 for 99¢. Please watch for the second in the series as well as a short story coming soon! As black clouds gather for America in 1775 Violet Buccleuch transforms from simple colonial farmer to become the Immortal American. While Boston roars with protests, Violet Buccleuch fights to survive. The lone provider for her mother and sister, Violet knows that soon enough she must surrender to the only option a woman of 1775 has: marriage. For two years she's delayed a wedding to Mathew Adams, her fiancé. He’s loved her since they were children, and Violet knows he will be a good husband. But he’s gone and committed the most dangerous mistake a man can make: He’s introduced her to his friend, Jacque Beaumont, a Frenchman and a spy, a dark, dangerous man Violet can’t stop herself from wanting. Then Violet’s life is shattered--brutality, death, and the threat of debtor’s prison surround her. Both Jacque and Mathew come to her aid--one man rescues her farm, the other rescues her heart. As the Battle of Concord rages at her door, Violet is entangled between her loyalty to Mathew, even as she's drawn further into Jacque's shadowy, mysterious world – perhaps a world from which there's no return. For more information, please visit L.B. Joramo's website and blog. You can also follow her on Facebook and Twitter. Passages to the Past has one $10 Amazon Gift Card up for grabs. Open to US only. Ends on July 6th. This looks like a great book, congratulations! Thanks for the giveaway, keep up the good work.